Amanda grew up singing around campfires and began her career as a performing singer-songwriting when she was a teenager. Earning her Bachelor's degree in Cultural Anthropology, Amanda understands music to be part of our universal human birthright, playing an essential role in our experience of being alive. She holds a deep passion for the empowerment of girls, women and community, and carries an unstoppable faith that music can change the world for the better. Current class offerings are listed below. Amanda offers private classes in songwriting, beginning guitar, and voice, from her home studio in Felton as well as Sylvan Music in Santa Cruz. She specializes in working with children, and also loves adults. Lessons are based on a model of student-led learning to instill confidence and joy through music. for availability & more info. Current students may pay for class sessions through paypal or credit card using the button below. 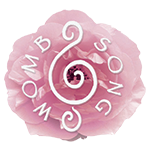 Led by Amanda West & Megan Jacobsmeyer, Womb Song offers birth-centered community singing circles for women. Prepare for labor and life through vocal toning and breathing exercises. Strengthen your connection to yourself, your baby and your community through sound. Discover a deeper sense of your own voice and power. 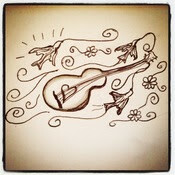 Learn beautiful, simple songs and lullabies from around the world. Circles are open to all mothers, mothers-to-be, those trying to conceive, birth workers and women who love to sing. No musical experience necessary! Drop-ins welcome. An old proverb says "if you can talk you can sing" and Amanda holds this to be true, believing that singing is part of our universal human birthright, playing an essential role in our experience of being alive. 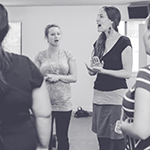 Her workshops run through basic warm-ups and vocal toning exercises, guiding participants to discover the joy to be found in simply making sound. Simple songs and chants from around the world are then taught call-and-response style, weaving together the mind, body and heart into an uplifting and community-strengthening experience. To schedule a workshop in your home or local community, please contact Amanda.